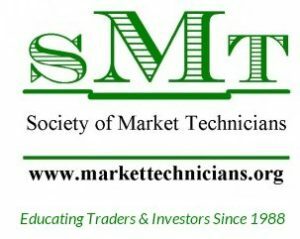 Please join us for our monthly meeting that will feature SMT Member Carl Perthel. In the first part of his presentation, Carl examines the merits of technical analysis and shows why price is the ultimate indicator. Carl will review secular and cyclical “bull” and “bear” markets since the beginning of the 20th century, evaluating their characteristics, significance and repetitive natures, showing the audience why the past may be a prologue. Carl will examine past “bull” and “bear” market valuations to determine whether they should be a consideration in today’s market environment. His goal for you: given the preponderance of technical and fundamental evidence in today’s equity market, should we consider this bull market to be near its end? After a short break, the second half of Carl’s presentation will be an update on the Halloween Indicator (Sell In May and Go Away) to review its performance over the past six months, while providing historical data going back almost 50 years to support the premise that the “Halloween Indicator” is NOT a trick, but a treat. If you would like to join our speakers for dinner before the meeting, please send an email to John Nelson (trader@johntnelson.com) before 6:00 PM, Wednesday, November 1st to reserve a seat and be at Almalfi’s, 12307 Wilkins Ave, Rockville, MD by 6:00 PM on Thursday.